With regards to restorative dentistry, dental implants are an amazing investment in your smile and overall health. As such, they require maintenance and care, just like your natural teeth. At Ora Dentistry, we are dental implant experts, with Dr. Devan Dalla, DDS as our leader. Not only do we offer excellence in implant dentistry, we also provide quality dental implant restorations and repairs. If you have dental implants, you can trust us for your overall oral care as well as maintenance on your dental implants. Quality dental implants can last the rest of your life. But like natural teeth, they can need repair. Trauma, health issues and other problems can lead to dental implant failure. When that happens, come see us at Ora Dentistry. 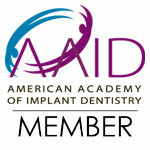 Dr. Dalla is an implant dentistry expert. He can evaluate your damaged implant and offer restoration solutions. Using the latest technology and methods, he can restore most implants to new, or better than new, condition. While dental implants are as close to natural teeth as you can get, they are not as durable as natural teeth. The top portion is constructed from a dental crown and can be damaged. The post can also become loose for various reasons. When a dental implant needs repair, you want an experienced expert to complete the restoration. Dr. Dalla at Ora Dentistry is experienced with dental implant placement, restoration and repair for all your implant needs. Implant dentistry is a specialized field that requires extensive education and training beyond basic dentist qualifications. At Ora Dentistry, we are lucky to have an experienced implant dentist at our office to perform our dental implant procedures. Whether you need a new dental implant or need repair on an existing artificial tooth, contact us today for an appointment and come see us at Ora Dentistry. We are your dental restoration specialists in Elk Grove.